When I saw this picture. 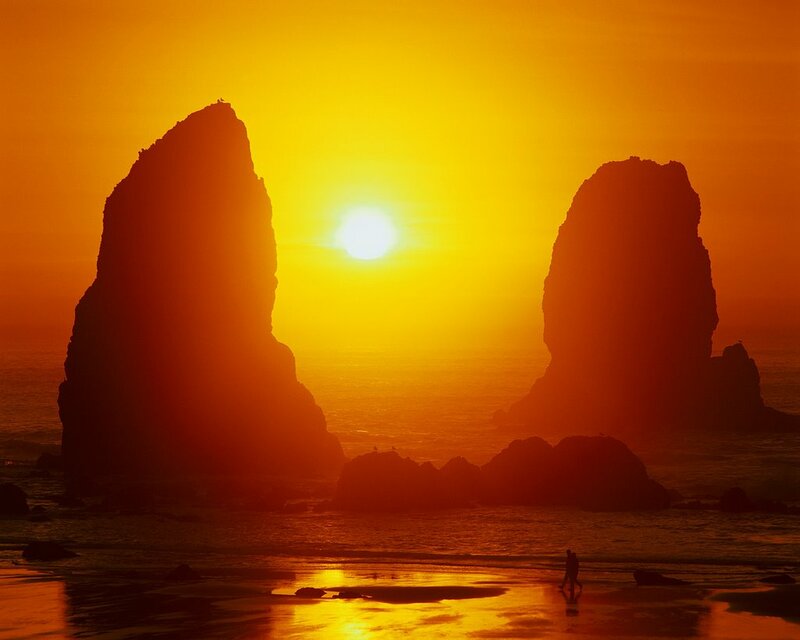 It reminded me of how I should be at the day's end - peaceful. Regardless of the difficulties, the set-backs, the disappointments, or the challenges, I must remember that this is the day that God has made, and I will focus on his promise and blessings in expectation for another opportunity to rise with new opportunities in the morning! WHEN THE LEVEES BROKE is Spike Lee's third feature-length collaboration with HBO, following 1998's "4 Little Girls," which was Oscar®-nominated in the Documentary Feature category, and 2002's "Jim Brown: All-American." Sam Pollard produces and edits the film. Sheila Nevins is executive producer; Jacqueline Glover is the supervising producer for HBO. Cliff Charles serves as cinematographer. Lee contacted Sheila Nevins, president, HBO Documentary, with whom he had previously collaborated on "4 Little Girls." By coincidence, the call came as Nevins and Glover were discussing ideas for their own Katrina project. Nevins wanted to create the "documentary of record" about the disaster. For her, Lee's call came at the opportune time. "It was pure serendipity," says Nevins. Lee was so intensely committed to his vision of the project that Nevins realized that he was the only director for the documentary. "Spike feels this in his gut: He brings his consciousness, his talent, and his passion to bear on the issues surrounding the project," she continues. "I don't know of anyone else who can do it." Nevins describes Lee's approach as "down-to-earth reportage of how the disaster was treated on a local and federal level. Spike has access to people and information that would result in an encyclopedic look at the chronology of events, and the lack of action that followed." Three months after Katrina struck, Lee, cameraman Cliff Charles and a small crew made the first of eight trips to New Orleans to conduct interviews and shoot footage for the film. With so many people affected, Lee had a wide range of subjects and opinions to choose from. "Spike wanted to offer multiple points of view," says his longtime editor, Sam Pollard. "He needed to represent the voices from the community, the different levels of government, activists and the celebrity element to provide a balanced take on the issues facing New Orleans." Lee and his team selected close to 100 people from diverse backgrounds and representing a wide range of opinions to interview, including Governor Kathleen Blanco; Mayor Ray Nagin; residents Phyllis Montana LeBlanc, Kimberly Polk, Shelton "Shakespeare" Alexander and Rev. Williams; activists Al Sharpton and Harry Belafonte; CNN's Soledad O'Brien; and musicians Wynton Marsalis, Terence Blanchard and Kanye West. Lee uses key elements of New Orleans' cultural legacy to illustrate its history of surviving against the odds. Long before Hurricane Katrina, New Orleans and its citizens developed coping strategies for dealing with tragedy. Its aboveground cemeteries are not only practical, but evidence of a people used to the sight of death. The traditional jazz funerals - musical parades that mourn death, and then celebrate life - serve as testament to that fact. Musician Wynton Marsalis considers music to be central to the everyday lives of New Orleaneans, saying, "The reason music came from us is we had a lot of ceremonies that required music. We have produced great musicians in every type of form you can think of - jazz, blues. It's all a part of people's everyday lives." Fellow New Orleans native and jazz musician Terence Blanchard, a musician and composer on several of Lee's films, including WHEN THE LEVEES BROKE, believes artists will find inspiration from Katrina. "Out of this experience there's going to come some amazing music, because the musical culture of this city has never been driven by anything other than pure honesty and pure passion," he notes. "And with the artists that are from this city, there's going to be some amazing things that's going to flourish as a result of this." Spike Lee (director/producer) is widely regarded as today's premier African- American filmmaker. His recent critical and box-office successes have included "Inside Man," "She Hate Me," "25th Hour," "The Original Kings of Comedy," "Bamboozled" and "Summer of Sam." Lee's films "Girl 6," "Get on the Bus," "Do the Right Thing" and "Clockers" display his ability to showcase a series of outspoken and provocative socio- political critiques that challenge cultural assumptions not only about race, but also class and gender identity. His debut film, the independently produced comedy "She's Gotta Have It," earned him the Prix de Jeunesse Award at the Cannes Film festival in 1986. His second feature, the hit "School Daze," helped launch the careers of several young black actors. Lee's timely 1989 film "Do the Right Thing" garnered an Academy Award® nomination for Best Original Screenplay and Best Film & Director awards from the Los Angeles Film Critics Association. Lee's "Jungle Fever," "Mo' Better Blues," "Clockers" and "Crooklyn" were also critically well received. He founded 40 Acres & A Mule Filmworks, which is based in the Fort Greene section of Brooklyn. Sam Pollard's (producer/supervising editor) first assignment as a documentary producer came in 1989 for Henry Hampton's "Eyes on the Prize II: America at the Racial Crosswords," which brought him an Emmy®. He later served as co-executive producer and producer of Hampton's documentary series "I'll Make Me a World: Stories of African- American Artists and Community," winning a George Foster Peabody Award. He also received a Peabody as one of the producers on the PBS series "The Rise and Fall of Jim Crow." Between 1990 and 2000, Pollard edited a number of Spike Lee's films, including "Mo' Better Blues," "Jungle Fever," "Girl 6," "Clockers" and "Bamboozled." In addition, Pollard and Lee co-produced the feature-length HBO documentary "4 Little Girls," which was nominated for an Academy Award®, and HBO's "Jim Brown All-American." His other credits include "3-2-1-Contact," for which he received two Emmys®, "Fires in the Mirror," directed by George Wolfe and starring Anna Deveare Smith, and "Goin' Back to T-Town." 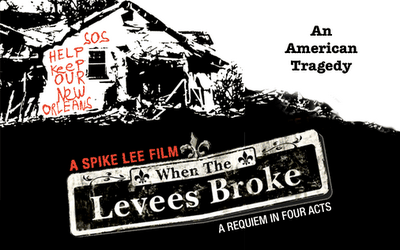 WHEN THE LEVEES BROKE: A REQUIEM IN FOUR ACTS is a Spike Lee Film and a 40 Acres & A Mule Filmworks Production. Directed and produced by Spike Lee; producer and supervising editor, Sam Pollard; cinematography, Cliff Charles; editors, Geta Gandbhir and Nancy Novack; composer, Terence Blanchard; line producer, Butch Robinson. For HBO: supervising producer, Jacqueline Glover; executive producer, Sheila Nevins. 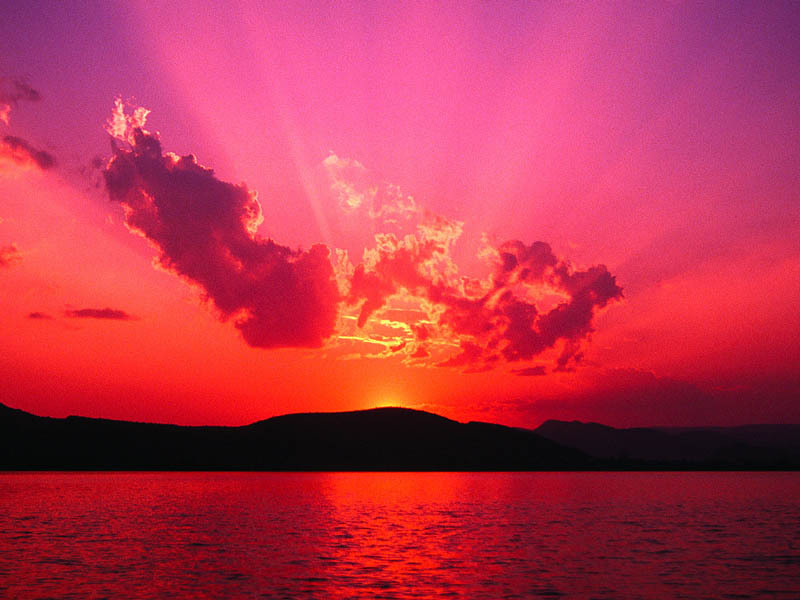 Nashville, TN (July 31, 2006) – Psalm 46 begins simply “God is our refuge and strength, an ever-present help in trouble.” Never have those words rang so true for Bishop Paul S. Morton than during the aftermath of Hurricane Katrina. 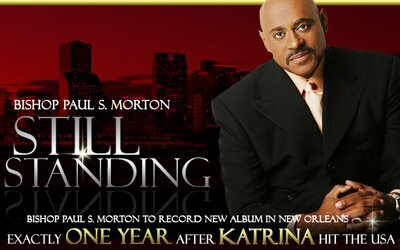 As with most New Orleans residents, Bishop Paul Morton, Pastor of New Orleans based Greater St. Stephen Full Gospel Baptist Church, was faced with unimaginable devastation, fear, uncertainty and loss when Hurricane Katrina made landfall in the United States on August 25, 2005, later hitting New Orleans on August 29th. Along with hundreds of others, Bishop Morton lost almost everything. 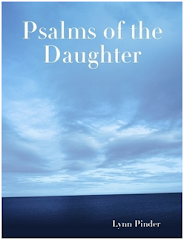 What was not lost was his total gratefulness to God and an unshakable faith in Him. Through it all, the charismatic and powerful preacher maintains a remarkable ability to praise God in the face of catastrophe, which even now, continues to inspire, encourage and strengthen people. 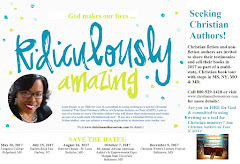 This new project is a story of hope, a testament to the power of Jesus’ love and celebration of life that will bring forth Bishop Morton’s experience and his deeply personal testimony of grace and mercy. The recording will take place on Friday, August 25, 2006 at 7pm at Greater St. Stephen Full Gospel Baptist Church in New Orleans, LA and Kurt Carr is tapped to produce the project along with many other special guest appearances. 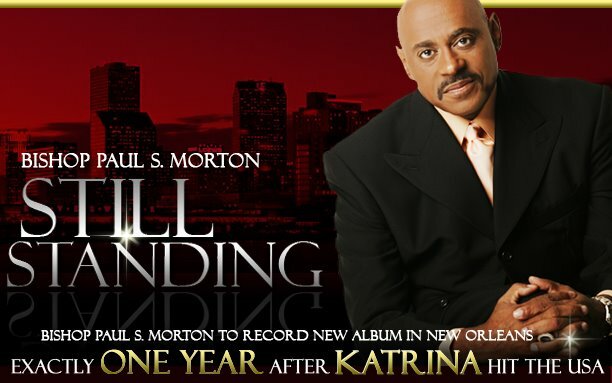 Committed to reconstruction, Bishop Morton is an important part of the rebuilding efforts in the Crescent City and offers this concert in honor of the thousands of Gulf Coast residents who have been displaced and affected by the hurricane. Bishop Morton is the International Presiding Bishop of the Full Gospel Baptist Church Fellowship International. Under Bishop Morton’s leadership, Greater St. Stephen has recently become “One Church In Two States”, hosting three services weekly in New Orleans, Louisiana and two services weekly in Atlanta, Georgia. Whew, this Christian walk ain't easy. I mean it is the hardest decision I have ever made in my life! When change happens from the inside out, I have to remember that people can only see me for what I've been not for what God is creating me to be. I have to remember that although optimism, energy, and faith are bubbling inside me, my outside me has yet to show the effect. I have to remember that people will be people, and I have to remember to love them anyway. I have to remember to love myself inspite of it all. I have to remember to trust God, even in the dark spots and it does get really dark sometimes. I have to remember to let bygones be bygones and to practice forgiveness. I have to remember to show compassion even when I don't feel like it or when it is not convenient. I have to remember that everyone has a burden to bear and a problem to overcome, so I need to be sensitive to their concerns. I have to remember that I am here to glorify God and that my actions should reflect that in every way. I have to remember that I was born to make manifest the glory of God within me. I have to remember that God is not just in me, but in everyone. I have to remember that everyone does not have my best interests at heart. I have to remember that it is o.k. for me to make mistakes; I am not perfect. I have to remember to face challenges with courage and an open mind. I have to remember that it is o.k. to be me. I have to remember that tomorrow brings a new opportunity for me to get right what went wrong on yesterday. I have to remember that some people just have mean spirits. I have to remember to have tough skin, but a soft heart. I have to remember to laugh and live life vivaciously. A colleague of mine sent this to me. I hope you enjoy it! in the teeth - give the world the best you have anyway. If better is possible, then good is not enough! 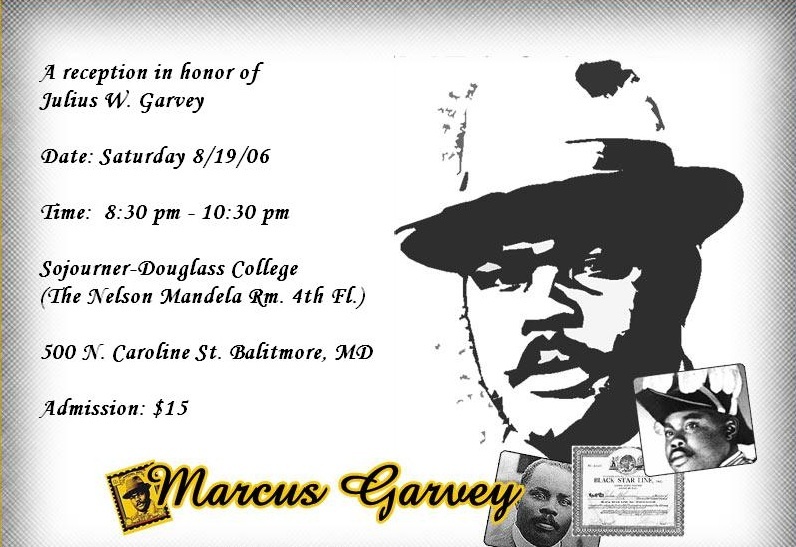 Baltimore on Saturday August 19th at 6 p.m. .
auditorium(Aisquith St. entrance) at 6 p.m.
is a Caribbean-style buffet and includes entertainment. The cost for the reception is $15. 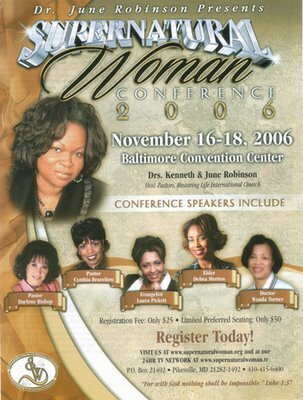 For more information please call (410) 385-9532.